The natural range of butternut extends throughout the northern eastern United States and the southern portion of eastern Canada. In Canada this tree species is found as a scattered tree, or in small groups among other hardwoods in the Deciduous forest region, the southeastern portion of the Great Lakes-St. Lawrence forest region and the western section of the Acadian forest region, from Ontario to New Brunswick. It occurs on a variety of sites, including dry rocky soils (particularly those of limestone origin), but grows best on well-drained, fertile soils in shallow valleys and on gradual slopes and is intolerant of shade. The most obvious symptoms of this disease are the elongated, sunken cankers, which commonly originate at leaf scars, buds, or wounds. 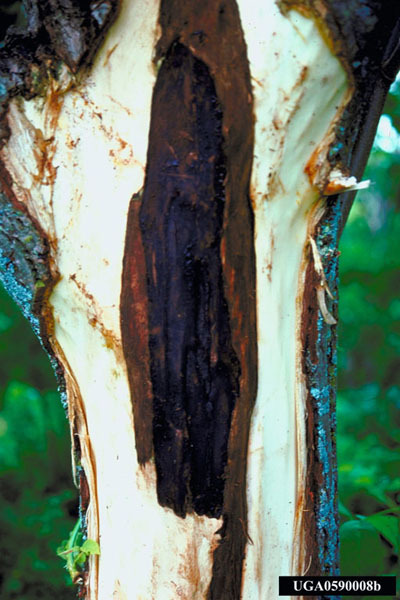 In spring, an inky-black fluid exudes from cracks in the canker; in summer, the cankers appear as sooty black patches, often with a whitish margin. Peeling the bark away reveals brown to black areas of killed cambium. 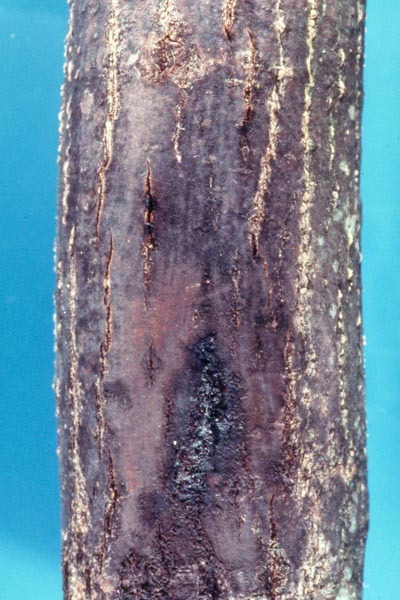 Older cankers can be perennial, are found in bark fissures or loosely covered with shredded bark, and are bordered by successive callous layers. Trees are usually first infected in the lower crown and then die downward as spores from the cankers are washed down. 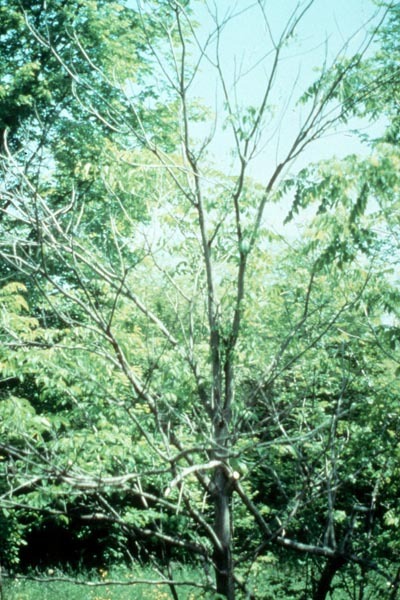 Damage: Trees of all ages and sizes and on all sites are infected by this disease. 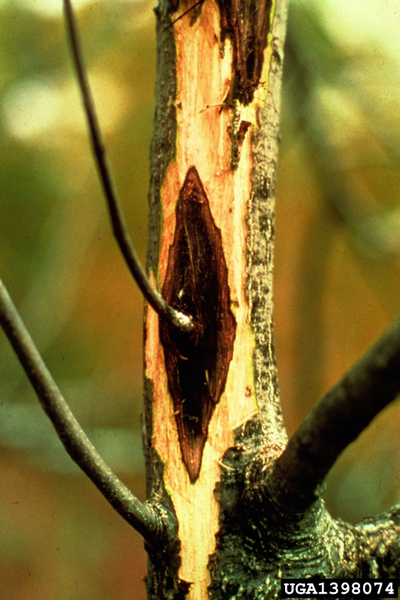 Cankers spread around branches and trunks, eventually girdling and killing the tree. 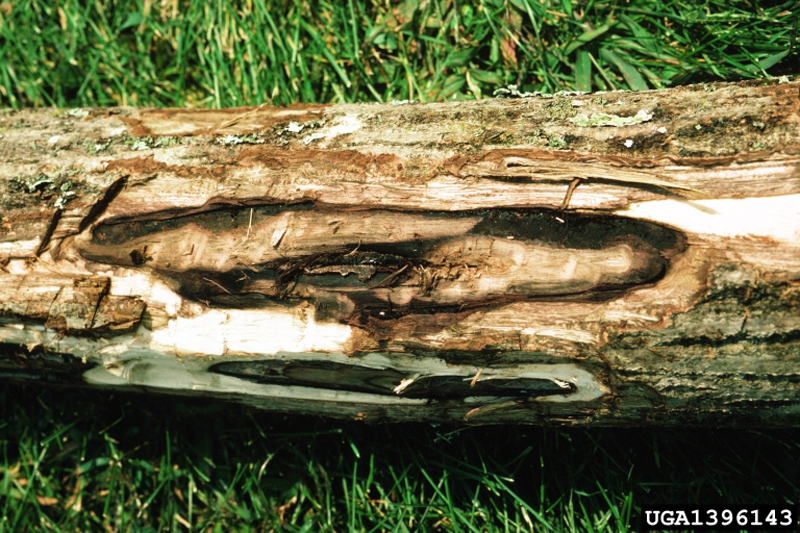 Older cankers provide an entrance site for decay and other harmful fungi. Stem cankers reduce the commercial value of the wood. Butternut canker (Sirococcus clavigignenti-juglandacearum) was first described in Wisconsin in 1967 by Dr. James Kuntz. However, the causal agent was not isolated and described until 1979. It is not known how long the fungus has existed in North American hardwood forests or if it was native or introduced. 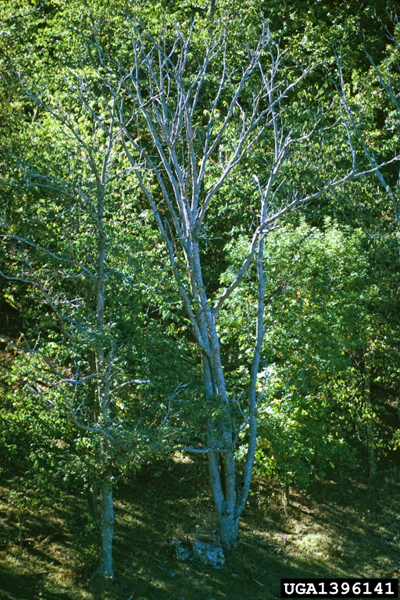 Butternut canker is currently known to exist throughout the range in of butternut in Canada. The disease was first isolated and reported from butternut in Ontario in 1991 (Davis et al 1992) having previously been reported in Quebec in 1990 (Innes and Rainville 1966), and most recently being collected in New Brunswick (Harrison and Hurley, 1998). It is uncertain when the disease became established in Ontario, but as decline and mortality were common on butternut throughout the southwestern region of the province by 1991, it was assumed the disease had been present in Ontario for sometime prior to this. Recent evidence suggests that the disease has been present since at least 1978. 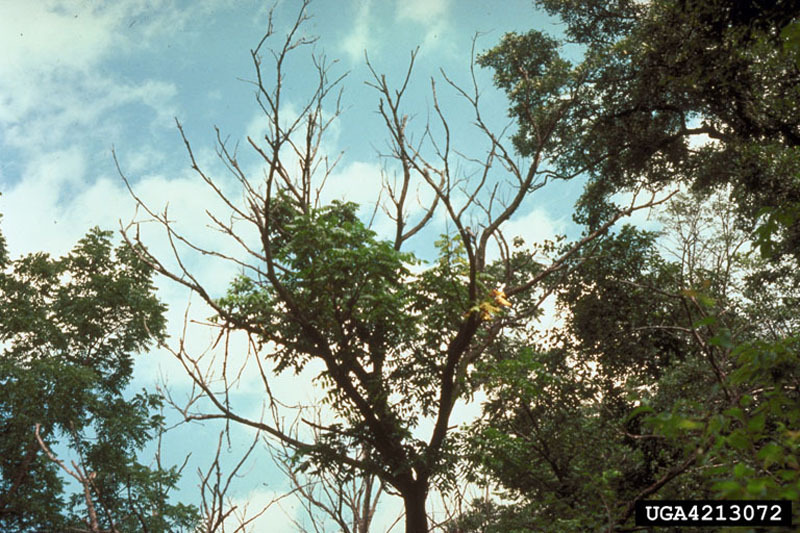 Control of infected trees is not possible, and management of healthy butternut is recommended. In the forest stand or managed woodlot, infected trees suitable for harvesting should be removed as soon as practical to salvage merchantable wood. Dead butternut and those showing poor vigour should be removed to promote regeneration and to lower inoculum load. In butternut stands, trees with a minimum of 30% dead crowns and a minimum 20% of the main stem cankered should be removed. Trees with up to 50% crown dieback can be maintained if their stems are not cankered. On federal land and in provinces where butternut is protected by law, a permit is needed before removing trees or collecting butternut material. 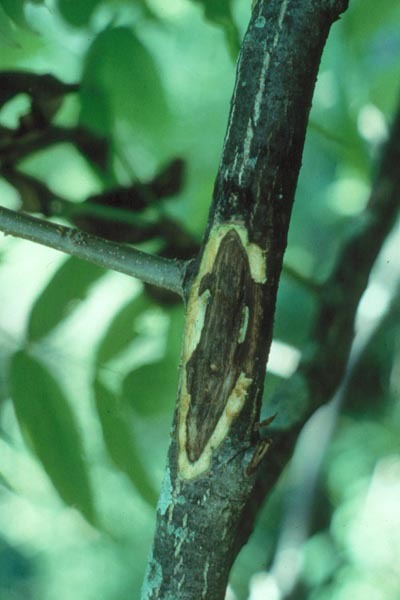 Butternet canker caused by Sirococcus clavigignenti-juglandacearum. A butternut tree heavily damaged by Sirococcus clavigignenti-juglandacearum, the causal agent of butternut canker.